JLC is one of my favorite watch manufacturers, as a particular JLC was one of the watches that brought me to this crazy hobby, the black dial Master Geographic. I've owned and sold 8 JLC's, 6 are from the Master Control series of 2000's, but I was without a JLC since early 2013. I saw the Master Grande Memovox when walking pass a pre-owned shop here recently. I went in, tried it and was tempted by it. Having just acquired a couple of watches at the end of last year, I decided to pass up on it. However it remained in my mind, so I asked the store owner if they accept trade in and they made me a fair offer that I couldn't refuse. - It is a big watch at 41,5 mm but still look alright (I think) on my wrist due to the short lugs. It is probably the largest watch I can ever wear without looking awkward. - It is a heavy watch at 185 grams. I was quite concern about its weight but checked that it is not a lot (13 grams) heavier than my Datograph - a watch that I wear a lot. 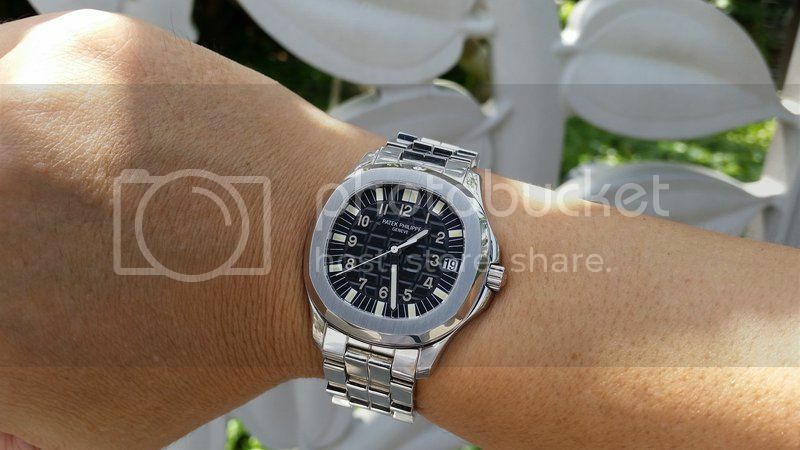 - The watch is quite legible for what is a very busy dial. - I like the combination of Perpetual and Alarm, I don't think there are many offerings with such combinations. 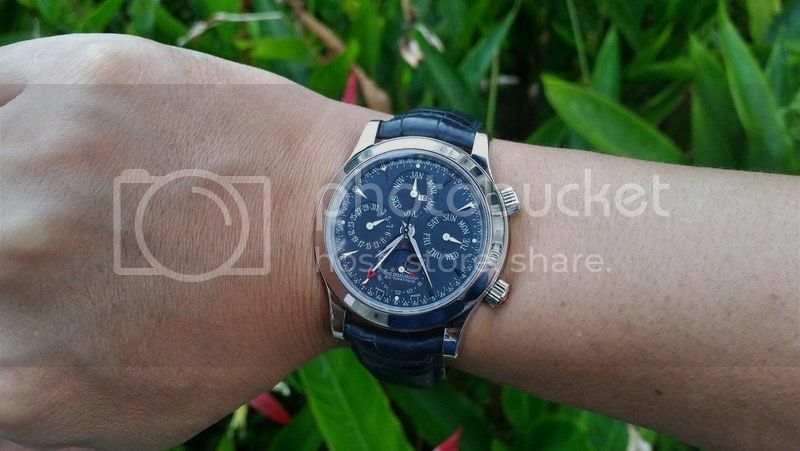 - I like the perpetual calendar module developed by IWC with a single push button to advance all the indicators, this way I can keep the moonphase in-sync. The watch has stopped at 19-Apr-2015 (likely around the time the previous owner brought it to the store) but it didn't take me very long to advance those indicators day-by-day to the correct date. - It is a thick watch at 15,5 mm, so it might be better if JLC offered it in manual and shedding a couple of millimeters in thickness. Happy to be back. I guess I am old school, as I keep coming back to watches of this era. Next Topic: JLC Reverso - Buckle or Clasp?